I don't think I have been this excited about a skincare launch in a very long time! They had me at "dewy"! Dew me up, please! Never mind that this cream was designed for the talented Mario Dedivanovic (Kim Kardanshian's Makeup Artist), I was way more excited about the dewy factor! I love that Tatcha is getting into creating skincare products that are designed for makeup prep. The brand already has some amazing skincare products and I am always happy to try anything that will make my skin and makeup look better. I have very high hopes for this cream, so I am really hoping it doesn't fail me! 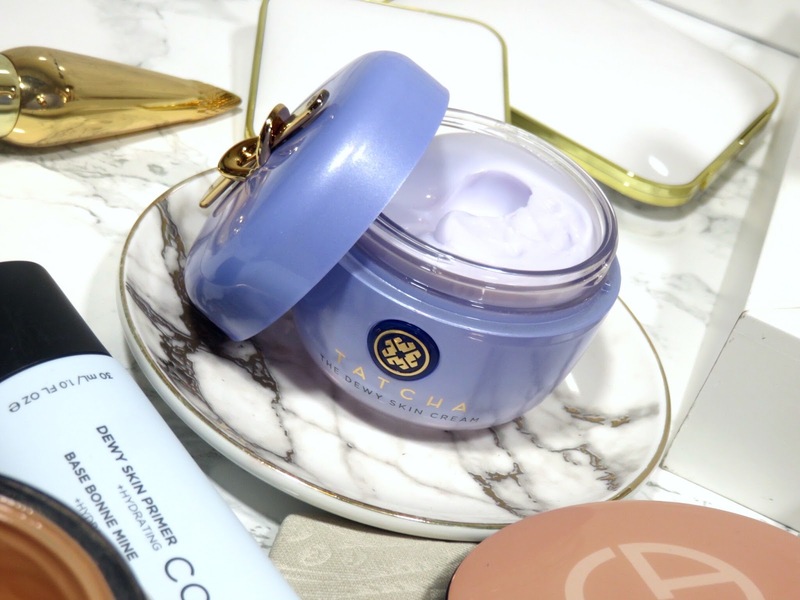 The Tatcha Dewy Skin Cream retails for $68.00 USD for 1.7 oz and is available at Sephora. 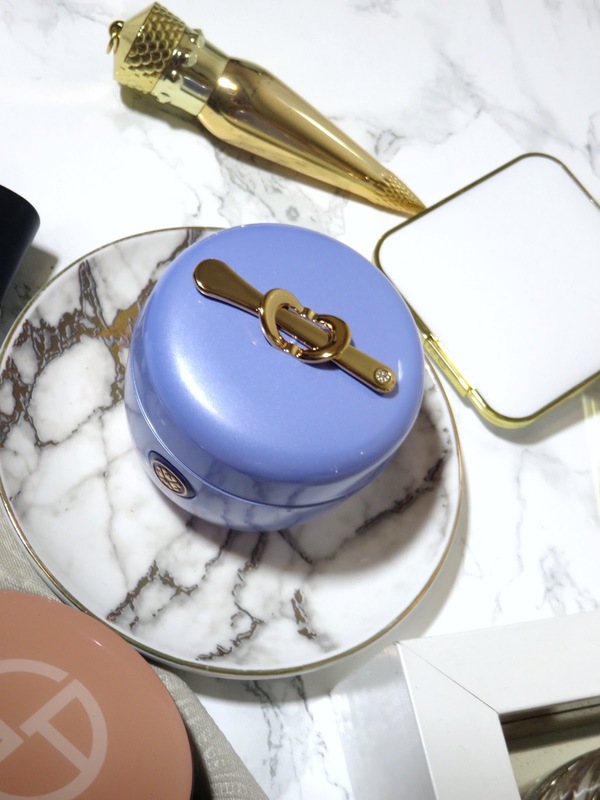 This cream is luxuriously housed in a heavy purple plastic jar with a little gold spatula attached to the lid! How cute and innovative is that? The lid also has a locking mechanism, making the lid very secure and keeps the product from drying out or being exposed to the environment too much. 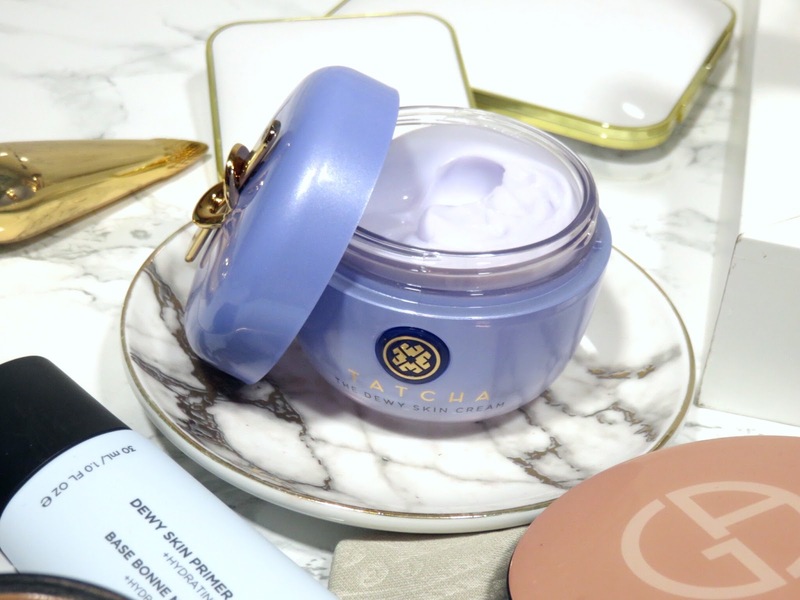 Inspired by their wildly popular Luminous Dewy Skin Mist, Tatcha designed this cream to hydrate and plump the skin for a healthy and dewy glow. 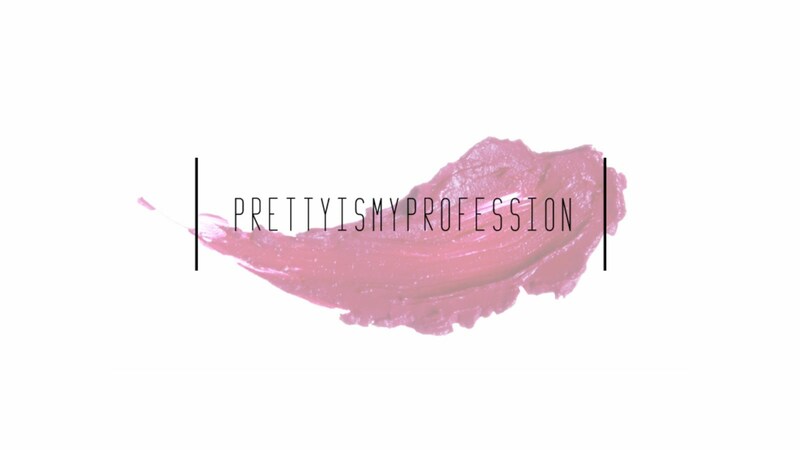 It is also intended to be a makeup prep or moisturizing primer to give your skin a glow. The consistency of this cream is a thicker balmy texture but it doesn't feel at all heavy or greasy. It's a thick balmy gel-cream with a very subtle and light natural fragrance. One thing that I really appreciate about Tatcha products is their high quality and natural ingredients. The fragrance is not added but naturally derived from the combination of natural ingredients. I recommend using about a nickle-sized amount product and rub the cream between your palms before spreading it all over. The cream feels very soothing and cooling. It feels very hydrating like a splash of water on the skin. This cream gives your skin a very fresh and hydrated glow without any shimmer. The glow is very natural and dewy, as described by the product. It just offers a very hydrated and healthy-looking skin effect. Alone, this product doesn't a add whole lot more glow than an other moisturizer but where it really shines is under makeup as a primer! The balmy texture sits on top of the skin but I find this quite ideal for makeup application because it helps the foundation glide on the skin and blend into the skin easier. Because of my dry skin, I have been having a difficult time with prepping and priming my skin for foundation. 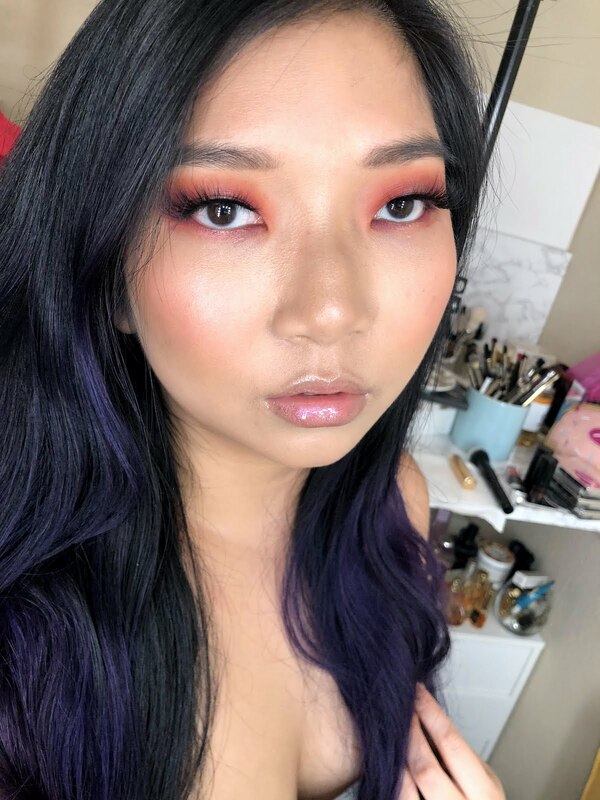 I have been having a issue with foundation sitting on top of my skin and emphasizing texture. 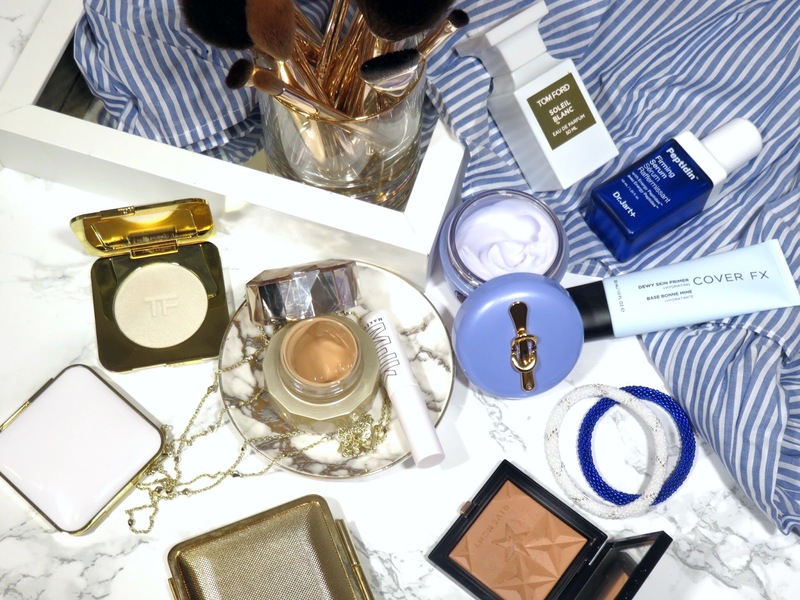 To remedy this, I have an elaborate prepping routine that includes a hydrating mist, followed by a hydrating serum, then a layer of illuminating oil, and finally an illuminating primer to add more glow and smooth out the texture off my skin. This cream actually does it all in one step! It's not the exact same effect, my elaborate routine offers a lot more glow and hydration because of the inclusion of an oil but this cream offers a beautiful glowing effect under makeup that will leave you stunned! What I mean is the finish is even better than I had imagined! This cream transforms your foundation! It creates what can only be described as a "surreal skin" effect. This effect is also often known as "expensive skin", it is almost a creamy, plush, and softly glossy skin. Think a Glossier brand campaign and you'll know what I mean. 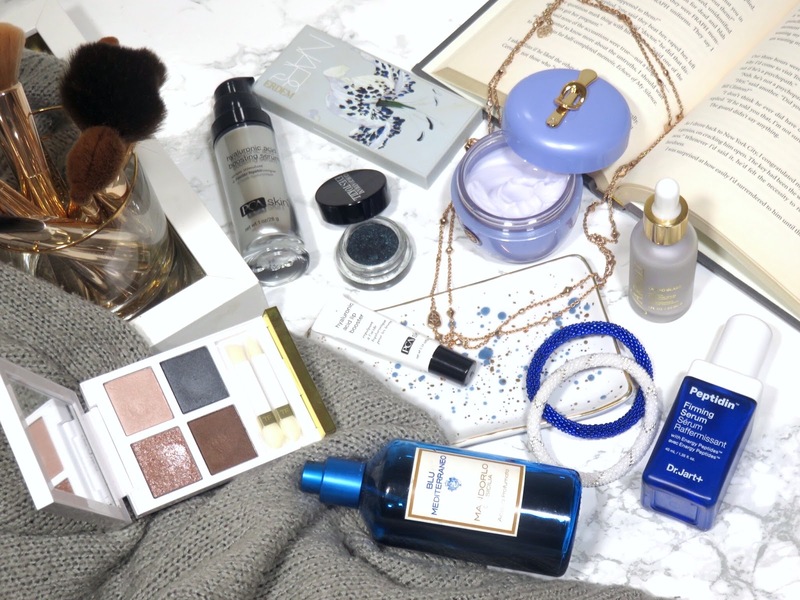 This healthy, flawless, glowing skin is often quite difficult to achieve and I have only seen this effect and finish on my skin from three of the most expensive foundations I own. This cream seems to transform my other foundations into this lush texture and makes it sit on my skin significantly better. My foundation looks more even, my skin's texture appears much smoother, and the soft glossy sheen is so insanely beautiful! To be honest, I was expecting this cream to be a nice moisturizer but I didn't expect it to do this much for my makeup! This cream transforms even satin finish foundations to a fresh and dewy foundation. This is a dream cream for dry skin types like me! I often find even satin finish foundations to be too matte for me and I often mix in oils and illuminators to add more glow to my foundation. Above I am wearing the Tatcha Dewy Skin Cream as a primer, however I do have somthing extra glossy on my cheeks. This is not from the cream but you can still see how fresh my complexion looks. This cream works differently on different types of foundations. I find that it is ideal for cream and liquid foundation. 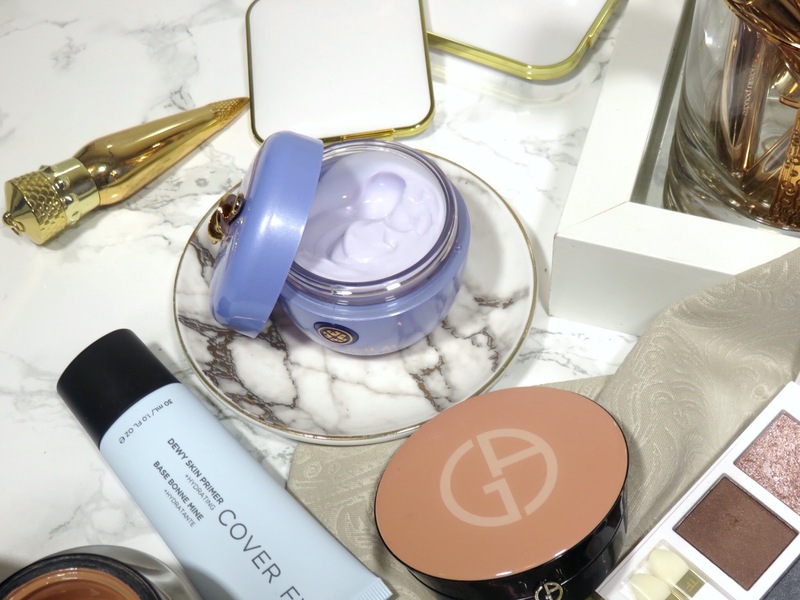 When used with my Tom Ford Traceless Touch Cushion Foundation (review here), I found that it actually made the foundation harder to blend into the skin and actually made the foundation a bit patchy. It also moved the foundation around too much. This might be because cushion foundations are often heavily water-based and meant to fuse with the skin and with the layer of balmy moisture on the skin, it was unable to, so it moved around a lot. I tried to use it again under my La Mer Luminous Cushion Foundation (review here) and I used a bit less, massaging most of it into the skin. Still, the cushion did not fuse with this cream as well and moved around quite a bit. However, using less product and making sure there wasn't too much of it sitting on the skin, helped and the result wasn't bad. I would say just stick to liquid and cream foundations with this cream. When I used this cream under my Tom Ford Waterproof Foundation/Concealer, which is my most matte foundation, I found that it made a great smoothing priming moisturizer but the glow is very understated. If you mix the cream with the foundation, you can get more glow but when used underneath, it only helps smooth and perfect the foundation on top. There isn't much of a dewy finish but it does give a softer finish to your skin instead of a matte finish. Keep in mind that while this formula is an excellent priming moisturizer, it will not control for oil. So if you do have oily or combination skin, you may still want to use a primer in some areas and limit the areas you place this cream. I find that even with my dry skin, oil will start surface a little past mid-day, which doesn't bother me but it may bother someone who is more oily. If you powder the skin, the glow can still really show through, especially in you are using a satin or dewy finish foundation in combination with the cream. I highly recommend lightly powdering the skin in select areas, if you produce any oil at all because this cream does not control for oil. Like I stated before, I love that Tatcha is very conscious about the ingredients that go into their products. When it comes to luxury skincare, it think the ingredients and their effectiveness are incredibly important. 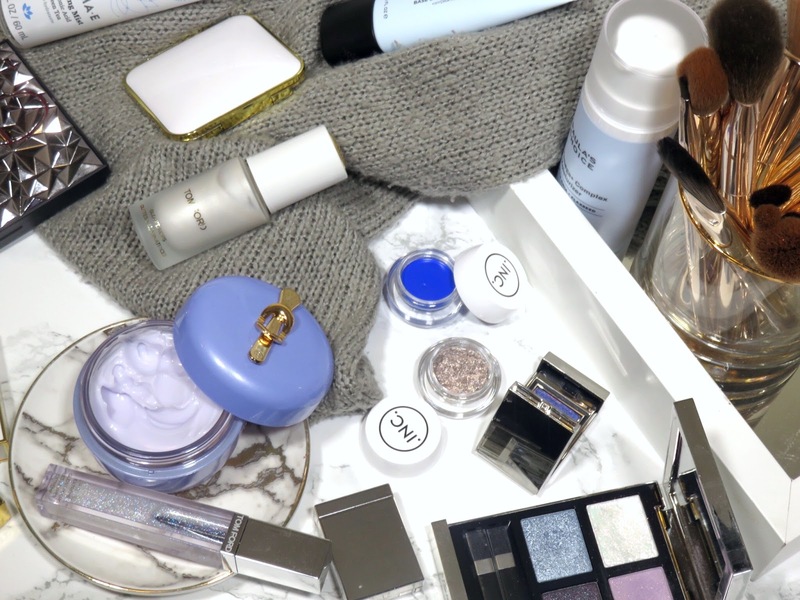 Many brands will tout about fancy ingredients but those fancy ingredients are in such a minuscule quantity that they don't do anything for the skin. 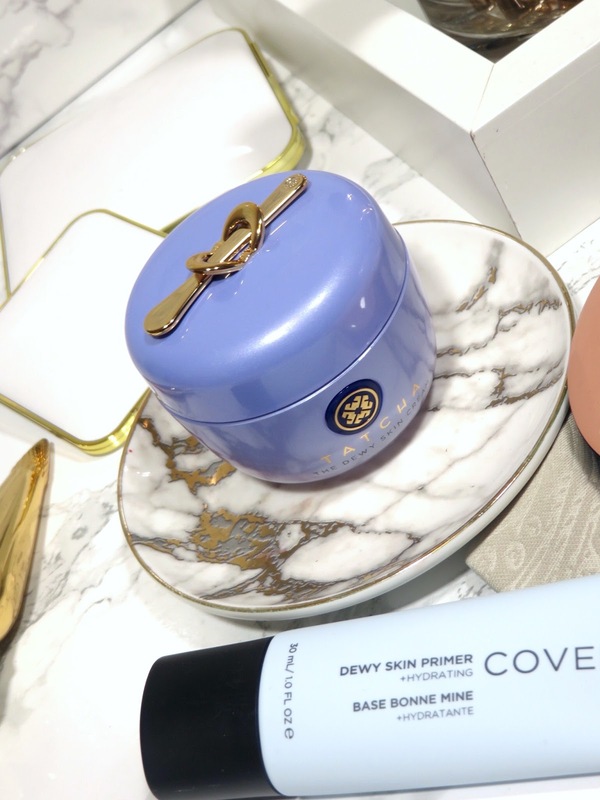 A rich cream that feeds skin with plumping hydration and antioxidant-packed Japanese purple rice for a dewy, healthy glow. I would say that this product very much lives up to it's claims. It offers a stunning dewy and healthy glow without any shimmer. It really does hydrate and plump out my skin. I am very impressed because it goes far beyond just a glow but when combined with makeup, it gives your skin the most stunning and surreal finish! - Japanese Purple Rice: Packed with nutrients and known for its ability to survive any harsh environment, it has long been used to celebrate longevity and vitality; rich in anthocyanin, a strong antioxidant, it helps skin recover from and protect against stress, pollution, and UV damage for healthier-looking skin. - Okinawa Algae Blend and Hyaluronic Acid: Captures water to help replenish skin’s natural moisture reservoir, immediately leaving skin soft, comforted, and deeply nourished; helps to replenish ceramides to ensure optimum skin barrier function, aiding in the reduction of future moisture loss, for skin that is visibly smooth and plump with hydration. - Botanical Extracts: From ginseng, wild thyme, and sweet marjoram; nourishes skin, enhancing its natural ability to retain and release moisture as needed, and imparts a dewy glow. From my additional research and general familiarity with these ingredients, all of these claims are very true. This cream contains a very anti-oxidant rich formula with very hydrating and moisture retaining ingredients. It's very rare for a brand to be so be so open and honest about their ingredients and their formula. I love that I can trust what is written in the descriptions however, I would still recommend doing your own research on ingredients if you have the time. Japanese Purple Rice - I need to commend Tatcha for this actually being their second listed ingredient on their full ingredient list. Typically this is indicative of the ingredients that have the highest quantity in a product, so since they're touting about the amazing benefits of Japanese Purple Rice, it is nice to see that it makes up the majority of this cream. Glycerin - This is the third listed ingredient and it is great for retaining moisture in the skin and it is also known for smoothing out the skin. Dimethicone - The fifth ingredient on their list, this is probably a huge contributor to the that fact that this product makes an incredible makeup primer. Dimethicone is notoriously known for smoothing out the texture of the skin and filling in pores, which it is a major ingredient in most makeup primers. It also helps create a blurring effect, hence the flawless finish to my makeup. Squalene - This oil is amazing for hydrating the skin while maintaining a light consistency. This oil has become increasingly popular over the years and for good reason because it is a beautiful oil. Not only does it hydrate but it heals and is packed with anti-oxidants. It also has anti-inflammatory properties to help treat acne, eczema, and other skin conditions. I must say, I am beyond impressed with this formula! I didn't think that this cream would do as much as it does. I really thought that this was going to be an extra emollient cream that would add a soft glow but this cream does so much more! 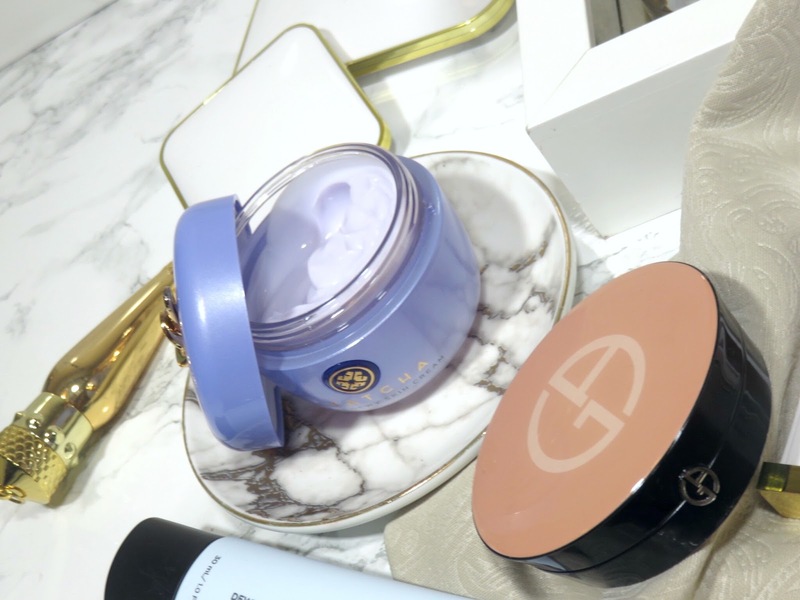 Of course it is incredibly hydrating and rich but the smoothing, blurring, and texture refining properties of this cream make it truly exceptional! 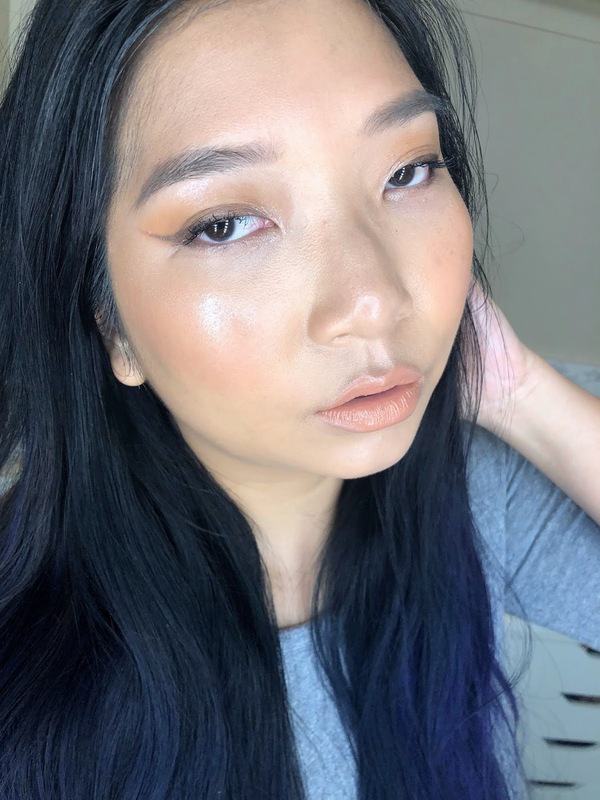 I know I often talk about the "Glass Skin" effect and trend but it's because I am so obsessed with it and this product will definitely help you achieve this look! Even when paired with a more satin foundation, it provides such a beautiful and naturally glossy glow to the skin. While I don't think it does much for the skin appearance-wise when applied alone, it does have a incredible hydrating and nourishing formula. The real magic happens when you use it as a base! I find that this cream really helps maintain my hydration levels throughout the day and make my makeup feel much more comfortable throughout the day. I just love how well this cream primes my skin for makeup while treating it! It has significantly cut my skin prep routine down and makes my base makeup look the best it ever has! I HIGHLY recommend picking this cream up, especially if you have dry skin! You will be amazed at the supple and lush texture it will transform your base into!